The Scania K230UB (K-Series 230-bhp Urban Bus) is a low-entry wheelchair-accessible single-deck city bus built by Scania AB. Commonly referred to as the “KUB“, the chassis is manufactured in Europe, and the bodywork supplied by Gemilang Coachworks of Malaysia. 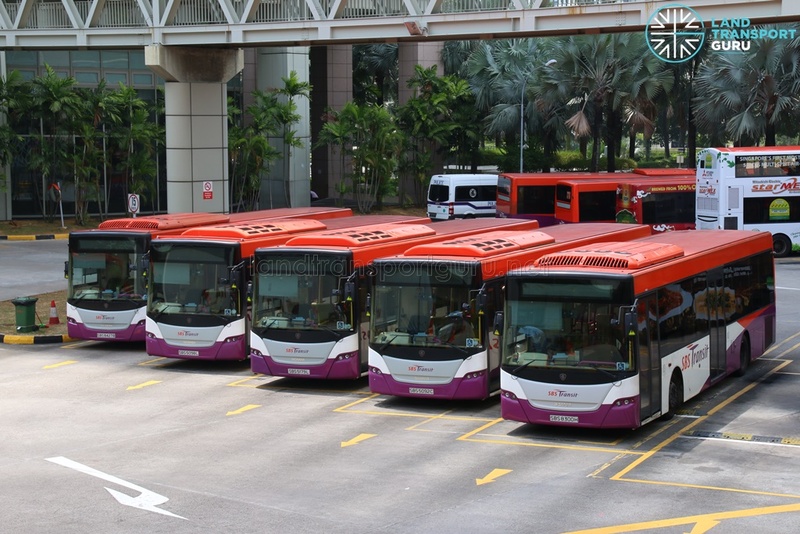 Currently, Singapore’s major bus operator, SBS Transit, is the largest local operator of Scania K230UBs in Singapore, with over 1000 vehicles. 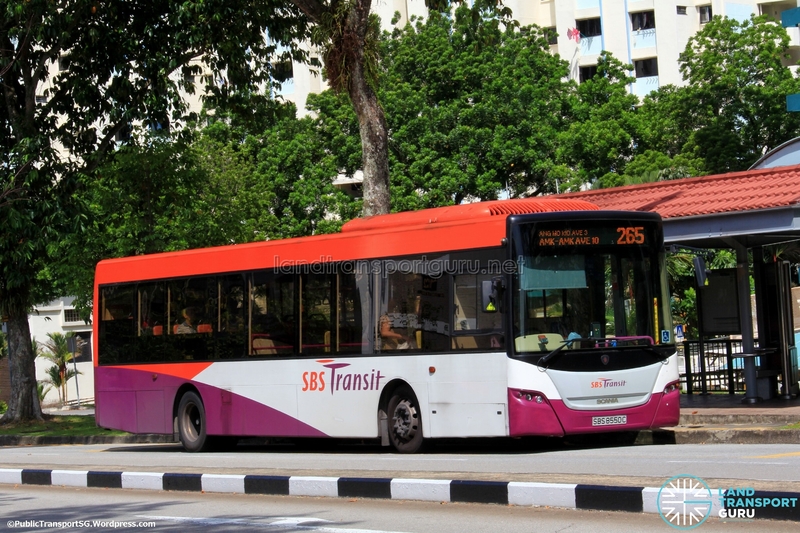 First introduced in 2007, it was then the largest order of any single model of city bus in Singapore, until the record was broken by the Volvo B9TL. Other operators of the Scania K230UB include Singapore Ducktours, WTS Travel, Comfort DelGro (operating as National University of Singapore shuttle buses) and Resorts World Sentosa. There are two major variants of Scania K230UB city buses in Singapore, the Euro IV and the Euro V. Both fulfill the requirements of the Euro IV / V and EEV emissions standards using Exhaust Gas Recirculation (EGR) technology, which unlike SCR buses, do not require diesel exhaust fluids. The low entry design incorporates zero-step access at the entry and exit doors, allowing for disabled access and more convenient boarding and alighting. This is achieved by relocating various components to the rear of the bus. Gemilang Coachworks Sdn Bhd of Malaysia supplies the bodywork for the Scania K230UBs of SBS Transit. Buses are assembled by a mix of ComfortDelGro Engineering, Gemilang Coachworks and SC Auto. The Scania K230UB is a familiar bus model in Singapore. 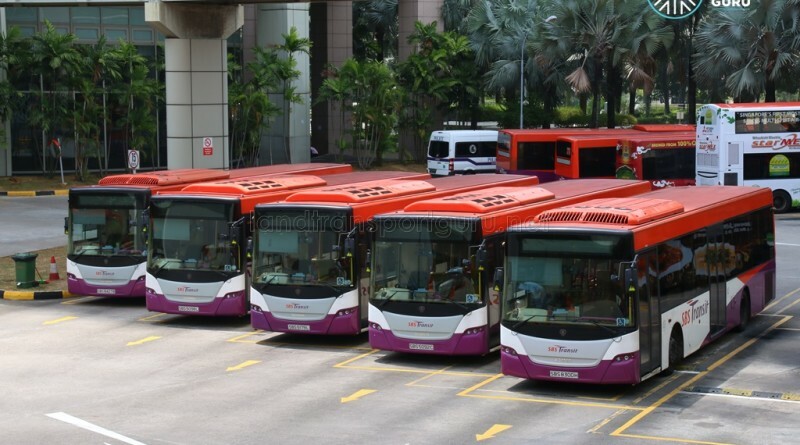 SBS Transit acquired one demonstrator unit in 2007, followed by 1100 more units of production batch buses between 2007 and 2010. The first 500 were of the Euro IV specification, while the remaining 600 were of the Euro V specification. All were fitted with ZF 6HP504 transmissions and bodied by Gemilang Coachworks of Malaysia. The intake of Scania K230UBs were, at the time, the largest intake of any bus model in Singapore. They were acquired as a direct replacement for the retiring Scania N113CRBs, Volvo B10M Mark IIs, and Mercedes-Benz O405s. All KUBs are of the low-entry configuration, with a manual wheelchair ramp at the rear doors. In 2006, SBS Transit launched its first wheelchair-accessible bus, the double-deck Volvo B9TL bodied by Comfort DelGro Engineering. With the upcoming retirement of the Volvo B10M MkIIs, Scania N113CRBs and Mercedes-Benz O405 CACs, there was a need to bring in more wheelchair-accessible single-deck buses to replace these older models, and at the same time, meet with more stringent vehicular emission requirements set by government agencies. The low-entry Scania K230UB was SBS Transit’s chassis of choice. Gemilang Coachworks of Malaysia supplied the bodywork in the form of complete knock-down (CKD) kits. The body utilises the EcoRange System, an aluminum-based construction developed by Constellium (then known as Alcan). Only three buses were assembled by Gemilang; the remainder was assembled locally in Singapore by a mix of ComfortDelGro Engineering and SC Auto. In total, 1101 units were acquired, comprising a single Euro IV demonstrator unit (SBS8033D), 500 Euro IV units and 600 Euro V units. Technical specifications aside, the 1100 production batch units are very similar in design and appearance, with the exception of different interior configurations between Euro IV units and Euro V units. In 2007, SBS Transit received a prototype Euro IV Scania K230UB for demonstration and evaluation purposes. The bus was registered on 19 Oct 2007 as SBS8033D, following the line of 803X-registered demonstrator buses. With bodywork supplied and assembled by Gemilang Coachworks, the bus originally had a unique front design with a grill above the license plate and larger headlights versus the production batch. Blue-tinted windows are also unique to this bus. The Electronic Display Signage (EDS) was supplied by Cool-Air, which would become standard in the subsequent production batch. The demonstrator is fitted with the Scania DC9 16 230 turbocharged engine and the ZF Ecomat 6HP 504C six-speed transmission, which would be standard across buses of the Euro IV batch. Inside, there are two wheelchair bays with a manual ramp located at the exit door, doubling up as a spacious standing area when not used by wheelchair-bound passengers. The interior is purple-themed, intended to fit in with SBS Transit’s corporate colours. Seats are supplied by Volgelsitze (System 400). Unlike other demonstrator units, SBS8033D entered revenue service slightly later than its production batch units. In August 2013, SBS8033D had its front replaced with a Euro V KUB-design after an accident. After the full transition of the bus industry to the GCM, SBS8033D was converted into a Training Bus, as with other non-standard bus models. In 2018, the bus was fitted with external sensors as part of an autonomous bus development project in collaboration with ST Kinetics. 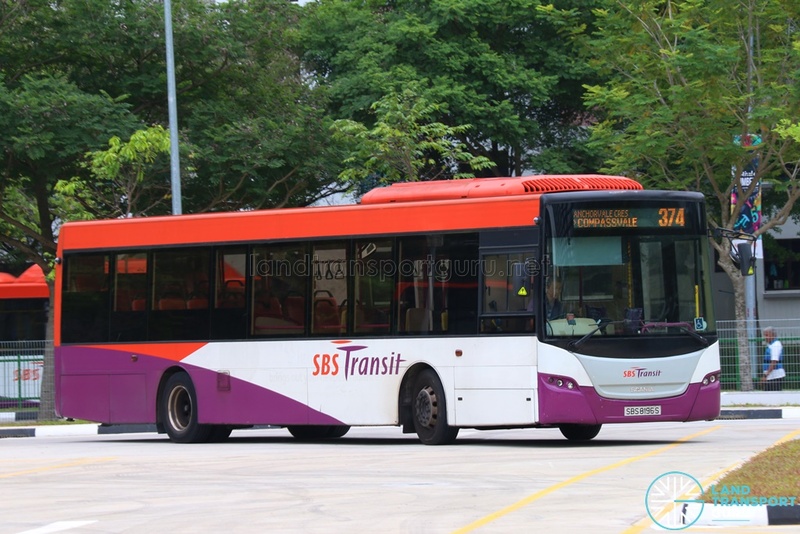 SBS Transit purchased 500 Scania K230UBs of the Euro IV specification in 2007. Built at a cost of $180 million, the 500 single-deck buses boast environmentally friendly Euro IV engines which emit fewer harmful particulates into the atmosphere. In addition, exhaust gas re-circulation technology (EGR) is employed to cleanse the fumes that are emitted. The buses are also made with special high tensile, lightweight material, and equipped with six-speed ZF automatic transmission to improve fuel efficiency. Out of the 500 new buses, 100 of them were built under the Batch 1, with similar technical specifications as the demonstrator unit. They were registered between 19 Oct 2007 and 27 Dec 2007 as SBS8034B – SBS8131D, SBS8138K & SBS8888D. SBS8138K and SBS8888D belong to this batch, although they do not follow the numerical registration order of this batch. The “8888” registration was presumably done to follow-up with other demonstrators such as SBS9888Y and SBS9889U. On 01 Nov 2007, these buses made their debut on Service 100 (between Serangoon and Ghim Moh), and Service 174 (between Boon Lay and New Bridge Road). These buses carried a beige and red-themed interior in contrast to SBS8033D. Seats were also supplied by Vogelsitze, but of the System 750/3 make. Buses were assembled by Gemilang Coachworks (1 units) and ComfortDelGro Engineering (99 units). The bus has a licensed carrying capacity of 87 passengers, comprising 29 seated and 58 standing passengers. Two wheelchair bays are available. Some of these buses have are registered with the Malaysian authorities (SPAD) for use on cross-border routes (160, 170 and 170X). All units were subsequently installed with Denso LD8u air-conditioning units in 2016, replacing the original Denso LD8i units. The Mobileye Advanced Driver Assistance System is being progressively installed on all buses. Large numbers of them are assigned to bus driver training. Out of the 500 new Euro IV Scania K230UB buses, 400 of them were built under the Batch 2, with similar technical specifications as the earlier Batch 1. They were registered between 4 Apr 2008 and 15 Jan 2009 as SBS8132B – SBS8561X, with unused registration numbers in between, such as those with the number “4” in the third and/or fourth digit. Compared to the Euro IV Batch 1 buses, the Batch 2 has a slightly different placement of grab poles. A wheel arch seat (for one adult and one child only) was fitted behind the driver’s cabin, also supplied by Vogelsitze but of the System 601 make. Buses were assembled by ComfortDelGro Engineering (300 units) and SC Auto (100 units). The bus has a licensed carrying capacity of 88 passengers, comprising 30 seated and 58 standing passengers. Two wheelchair bays are available. In 2010, SBS8405P received a full LECIP EDS set, but reverted back to CoolAir in 2011. 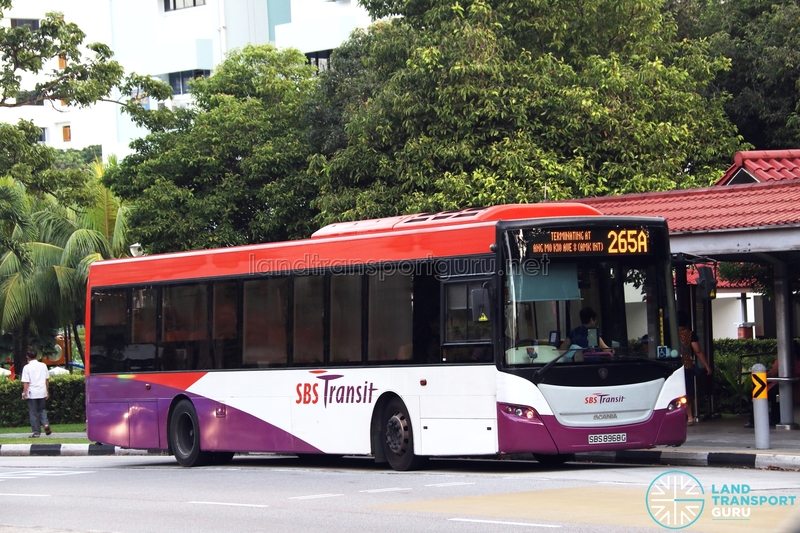 Following the satisfactory performance with the first batch of Scania K230UBs, SBS Transit made a further purchase of 400 Scania K230UBs valued at $147 million. These buses were of the Euro V specification, fulfilling higher emission standards with the redesigned Scania DC9 engine. The ZF Ecomat 6HP 504 six-speed transmission continued to be used on these buses. Buses were registered between 13 Mar 2009 and 22 Dec 2009 as SBS8562T – SBS8999S, with unused registration numbers in between, such as those with the number “4” in the third and/or fourth digit. These buses a fitted with a redesigned Scania DC9 engine, also operating on Exhaust Gas Recirculation (EGR) technology to achieve the higher Euro V emission standards, paired with the ZF Ecomat 6HP 504C six-speed transmission. Hanover Electronic Destination Signage (EDS) was fitted for clearer displays, which make them easily distinguishable from their Euro IV cousins. Compared to the Euro IV (Batch 2) buses, the Euro V K230UBs have an additional wheel arch seat (for one adult and one child only) above the left wheel arch, just behind the front entrance door (hence a total of wheel arch seats). While the Euro IV buses had a proper seat mounted on the wheel arch, the Euro V buses had padded cushions mounted directly onto the plastic bodywork, likely as a cost-saving measure. Each bus has just one wheelchair bay; the front wheelchair bay was converted into longitudinal seating for three to accommodate more seating passengers. All other aspects of the interior are similar to the Euro IV buses. The bus has a licensed carrying capacity of 87 passengers, comprising 34 seated and 53 standing passengers. One wheelchair bay is available. SBS8689L is fitted with entry and exit doors by Masats, similar to those used on SMRT’s MAN A22 buses. The original SMC Transit doors were later reinstalled. 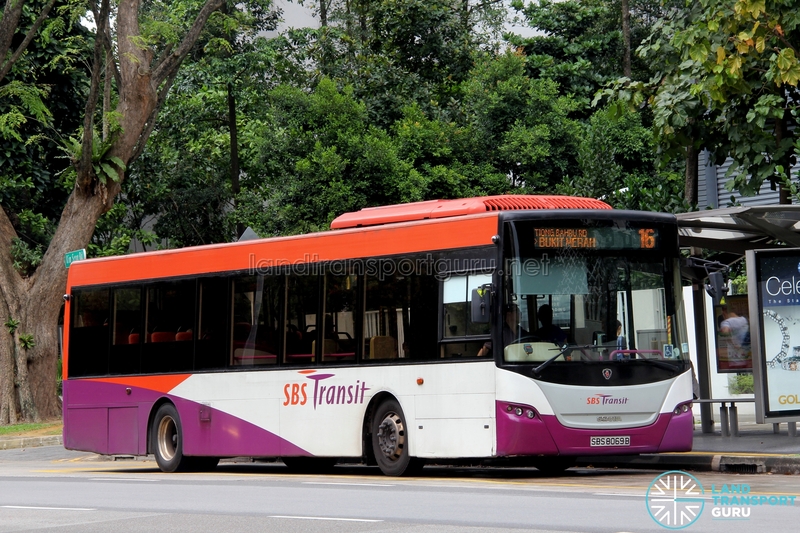 A final intake of 200 Scania K230UBs was made SBS Transit at a cost of $72 million. Following up on the previous Euro V batch, buses were built to the identical technical specifications, featuring the Euro V Scania DC9 engine and six-speed ZF Ecomat transmission. Buses were registered between 27 Jan 2010 and 15 Jun 2010 as SBS5001R – SBS5252H, with unused registration numbers in between, such as those with the number “4” in the third and/or fourth digit. These batch of buses are identical to the previous Euro V Batch 1 buses, in technical specifications and interior configuration, and can be seen as an extension of the Euro V batch. There are no differences in specifications between these two batches of buses. Hanover Electronic Destination Signage (EDS) was fitted for clearer displays, which make them easily distinguishable from their Euro IV cousins. Buses in this batch were fully assembled by ComfortDelGro Engineering. During the 2010 Youth Olympic Games (YOG) in Singapore, 38 Euro V Batch 2 Scania K230UB was chartered out to ferry athletes within the YOG Village in NTU. These buses bore a special YOG livery and registration numbers YOG2141 – YOG2177. 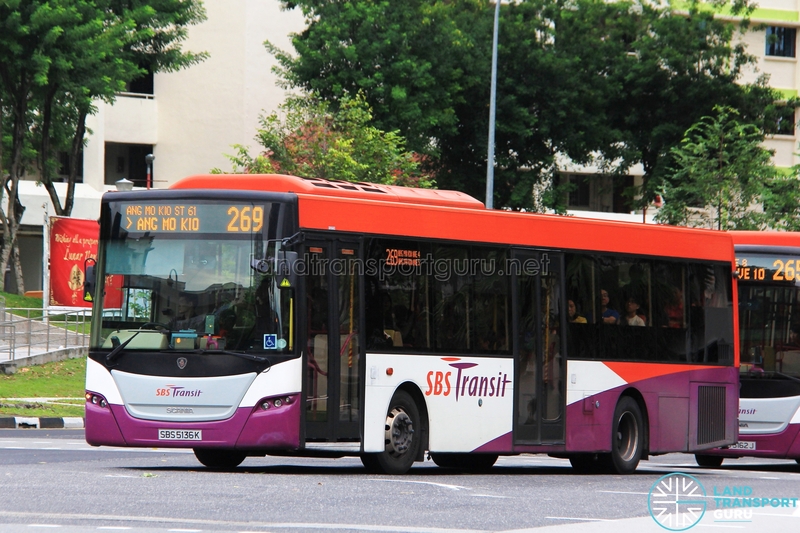 SBS8721B was involved in an accident with a garbage truck along Tampines Avenue 10 on Jul 28 2014, operating on Service 27. Repaired. SBS8900B was scrapped in 2013 after a serious accident within Ayer Rajah Bus Park, the first ever SBS Transit K230UB to be scrapped. SBS8909C was involved in an accident along the ECP on 29 Oct 2013 while operating on Service 30. It was repaired and returned to service in 2014.